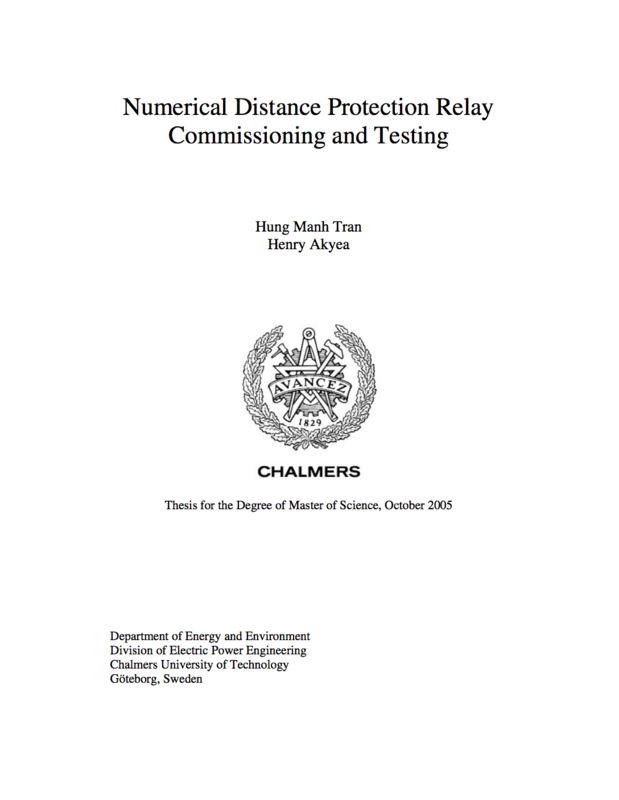 This guideline is entitled “Numerical Distance Protection Relay Commission and Testing” with the aims to calculate appropriate settings for the protection relay, configure the relay, install, commission and testing the entire protection. Any kind of power system shunt fault results in customers being disconnected if not cleared quickly. 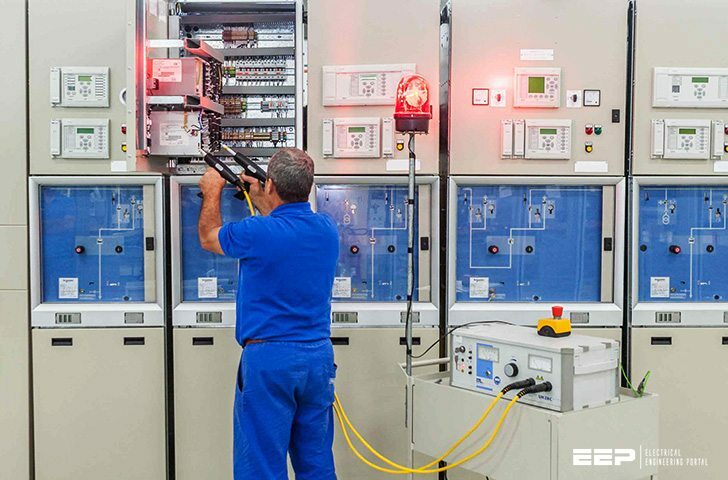 Distance protection meets the requirements of speed and reliability needed to protect electric circuits, thus distance protection is used to a large extend on power system networks. It is a universal short-circuit protection. Its mode of operation is based on the measurement of electrical quantities (current and voltage) and evaluation of the impedance towards the fault, which basically is proportional to the distance to the fault. Numerical distance protection is utilization of microprocessor technology with analogue to digital conversion of the measured values (current and voltage), computed (numerical) distance determination and digital processing logic. The objective of this exercise is to test a modern numerical relay for various faults within the distance zones under consideration. Three zones are set: Zone one is an under-reaching instantaneous tripping zone set in the forward direction, zone two is an over-reaching zone with single time-delay also set in the forward direction and zone three is an over-reaching zone with double time-delay set in the reverse direction. The power system model used in this exercise is a three-phase model of a 400 kV transmission, and two loads (two 9 kW three phase resistive loads). The entire model operates at 400 V.
The line model consists of six identical π-sections and each corresponds to 150 km of a 400 kV line. The sections can be connected arbitrarily in series or parallel. The impedance scale of the line model is given as 1:53.2. The numerical relay used in this laboratory is the Line distance protection relay REL 511*2.3 from ABB. The REL 511*2.3 is based on a full scheme distance protection function that detects both phase-to-phase and phase-to-earth faults and has a quadrilateral operating characteristics. A separate general fault criterion with advanced characteristics is used for phase selection and as an overall measuring function, which increases the total operating security and facilitates remote backup applications. The numerical relay REL 511*2.3 line distance protection terminal is designed for main and backup protection, monitoring and control of power lines, cables and other primary objects. It can be used in systems with simple or complex network configurations regardless of the type of system grounding. DC supply for relay: 48 – 250 V.
Figure 1 above shows the line model used for the laboratory.